All waterfalls have one thing in common. They ALL need water, and Sai Yok Noi Waterfall is no exception. 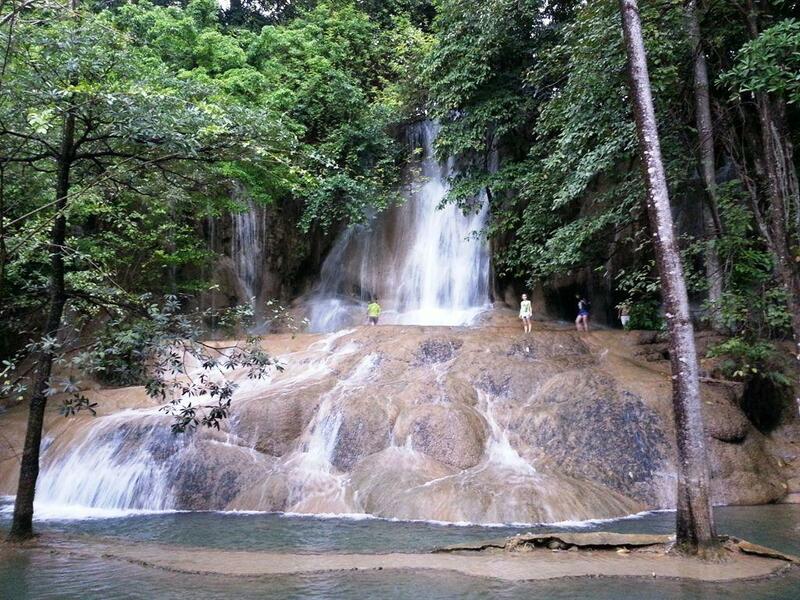 Most people come to Kanchanaburi to see the Bridge on The River Kwai, or the Hellfire Pass and the WWII history, but while they are here, many allow a little extra time and visit some of the waterfalls in the area. If you visit at the correct time, then you will not be disappointed, but if you visit during the dry season, the waterfalls may be a tiny trickle by comparison. None of the photos below show this waterfall at the peak of the wet. Two of them were taken in mid November which is after the wet season has passed and the other two were taken in early May which is at the end of the dry, and probably the worst time for waterfall pics. 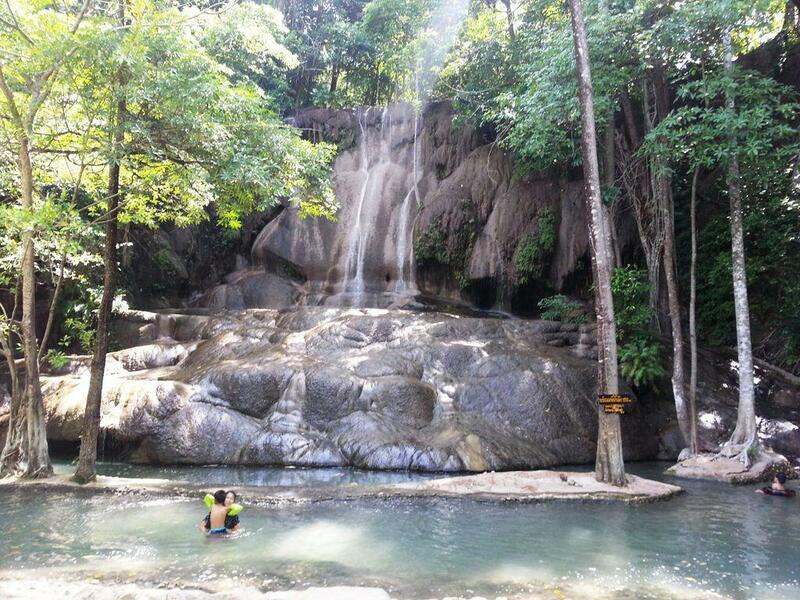 The best time to visit Sai Yok Noi Waterfall and take a photo would be early August. 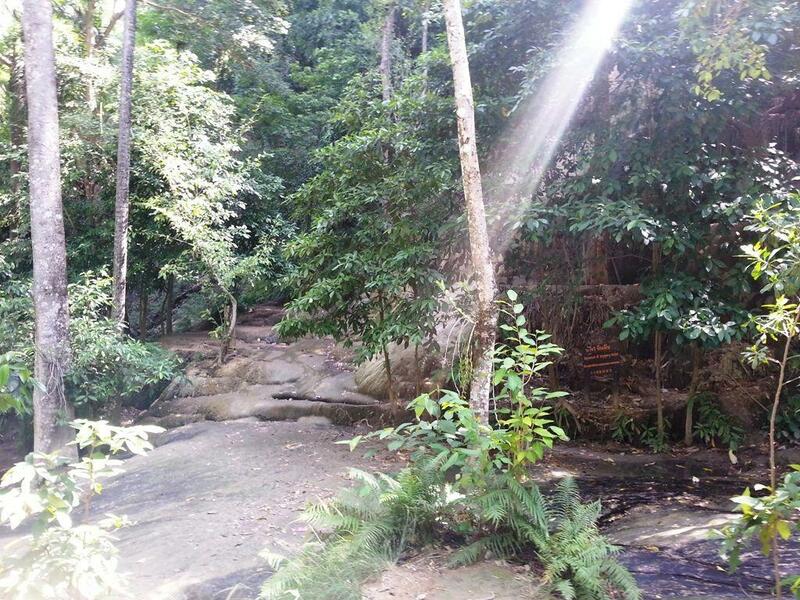 For those that are interested in the death railway, Sai Yok Noi Waterfall is at the end of the current operational line and is a few KM short of the Hellfire Pass Memorial. If you have the time, I recommend that you catch the train from Kanchanaburi to Nam Tok which travels along the tracks of the old death railway and passes through the Tham Krasae Bridge station and over the Wampo Viaduct which is one of the only remaining wooden trestle structures still in keeping (although substantially strengthened) with the way it was originally built by the POW. If you you book your tour through Thai Group Tours, the train ride and the visit to the Waterfall can be included in your custom Kanchanaburi tour package. 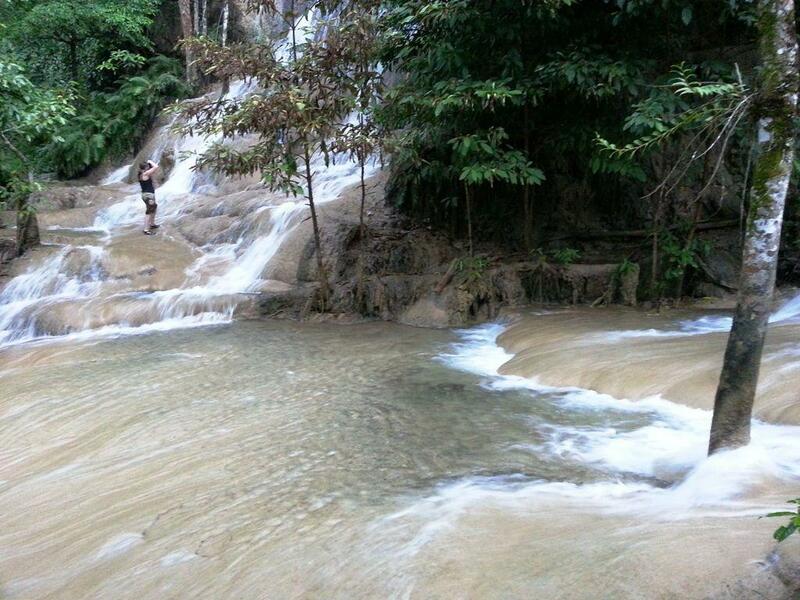 Below are a few photos from our visits to the Sai Yok Noi Waterfall. Click on any image to open a cascading light-box and to see a description of the image.